It’s time to let the screens of Metal Assault run RED. Share your bloodiest screenshot with us. 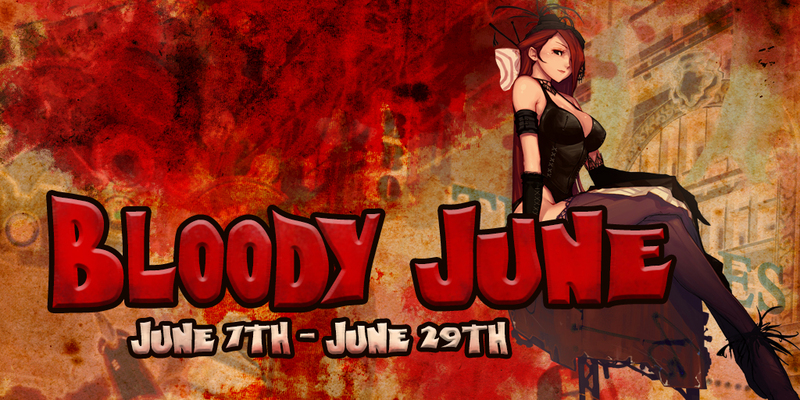 Through the month of June, we challenge our players to send us their bloodiest screenshot and share it here. 1000 FREE IM POINTS, 10 Upgrade Insurance Tickets 10 Upgrade Booster Tickets, and a surprise! 500 FREE IM POINTS, 10 Upgrade Insurance Tickets and 10 Upgrade Booster Tickets! 200 FREE IM POINTS, 5 Upgrade Insurance Tickets and 5 Upgrade Booster Tickets! 1. One screenshot per player. 2. Please provide your character name so we know who to credit! 3. This event is open to all players, regardless of level, experience, or activity! 4. No photoshopped or edited entries will be accepted. 5. Contest ends June 29th at 23:59 PDT. a. After which the contestants' entries will be gathered and sent to be judged by the Warpportal Staff. b. Prizes will be sent during the next Maintenance after winners are selected.